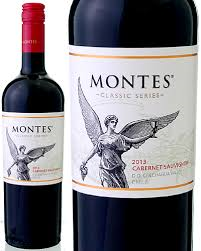 Chile’s 5th largest producer makes some iconic wines at the premium level. This Cab is their entry level, supermarket wine. Ripe red fruit, dense and a bit stewed, with some mushroom, green stemmy notes and and iron filings on the nose. It won’t please everyone but if you like odd earth notes and a striking, unusual aroma profile you might find this intriguing. I did. But the palate let’s you down. It opens juicy and fresh but lacks concentration in the mid palate showing tart cherry and pepper, very dry with a steely, mineral core, medium body with significant apparent acidity and grainy tannins. The acidity and tannins combine for a long, but clunky finish that turns quite bitter as it progresses. The wine will effectively wash down a burger and deserves credit for being distinctive but as a sipper its appeal is limited by the unpleasant finish. The blend included 15% Merlot, and 45% of the wine was aged in French oak for 8 months.